Simple: The software’s user-friendly platform involves no confusing software and cumbersome usability. The software does the heavy lifting and allows your management team to grow the organization. Fast: Cloud-based architecture allows the Vision2 software great agility. You can enter giving information, search for transactions and create reports in the blink of an eye. Mobile: Mobile-friendly software gets you going from Day 1. Software is specifically tailored for today’s desktop, table and mobile environments, providing a seamless experience. Ready: Your giving module takes on the look of your website. 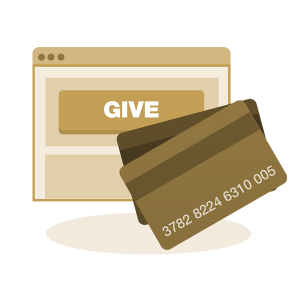 Supporters can complete the giving process without leaving your site. Powerful Accounting: Merchant processing is also a part of the software package. You can tightly coordinate the banking and gift collection process. Accountability: Donors are issued a tax receipt for the full amount of their giving with your organization’s name on it.